Looks like we’re going to have to wait for at least one more normal winter to pass before Game of Thrones’ super-winter arrives. 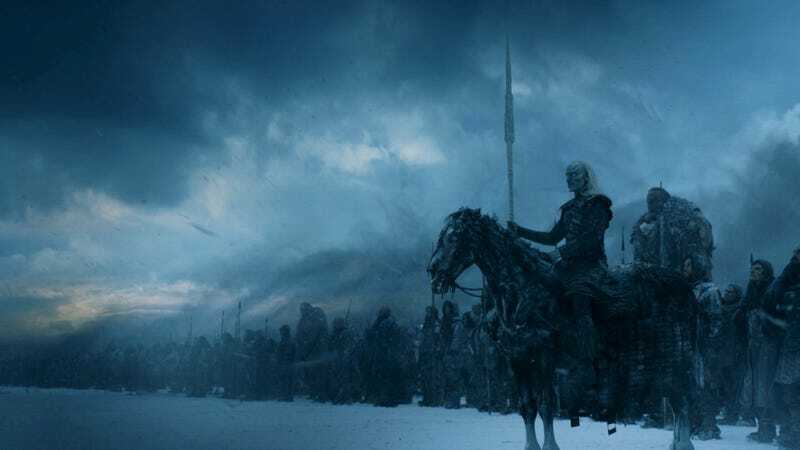 HBO has confirmed the eighth and final season of Game of Thrones will air in 2019. The final season, which is currently in production, will be only six episodes long—but much like the seventh season, they’ll be longer-than-average episodes. Showrunners David Benioff and Dan Weiss previously told Entertainment Weekly that 2018 might be a break year so they could spend more time working on the final season (filming is expected to continue through summer), but this is the first actual confirmation we’ve gotten. Benioff and Weiss will direct and write in the final season—sources previously told The Hollywood Reporter they’ll be in charge of the series finale. David Nutter and Miguel Sapochnik will be the other directors for the new season, and writers include Bryan Cogman and Dave Hill. There is a question of when in 2019 the series will return. Most of the seasons have been in the spring, but last year’s didn’t arrive until summer because it had to wait until winter for some of the filming. Since the show is giving itself an extra year, it seems logical that season eight would return to the spring. Fingers crossed for April 2019.